Free delivery (more details below) and free returns. Safely carries up to 23 stone (as tested by the Coffin, Casket & Shroud Association). 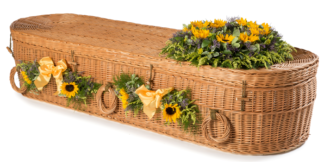 The wicker coffin will be delivered in 1-2 working days. For deliveries to England and Wales, the coffin will be delivered the working day after dispatch. For deliveries to Scotland, it will be delivered two working days after dispatch. 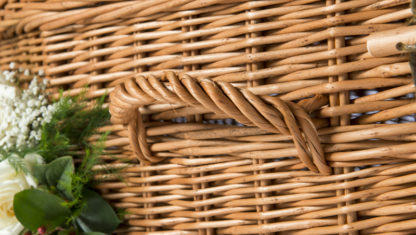 We aim to dispatch the same working day if an order is received by 1pm. An order received after 1pm will be dispatched the next working day. You will be kept updated via email (need it faster? Contact us). 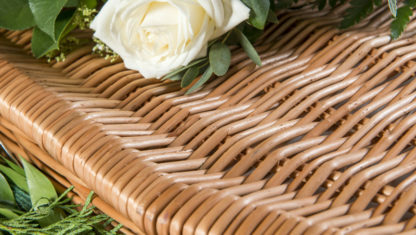 We can deliver to a Funeral Director or to your home. Instructions on how to select the option most convenient for you are below. If you choose delivery to a Funeral Director, we’ll make contact with them to ensure a safe delivery. Delivery to mainland U.K. is absolutely free. Extra charges may apply to locations outside mainland U.K. (Shetlands, etc). Most people send the coffin to their Funeral Director. To do this, enter your Funeral Directors details in the ‘Send To Funeral Director?’ section of the Checkout Page (simply uncheck the tick box if you do not want it delivered to a Funeral Director – and it will be sent to you). Submit your payment details (our system uses SSL security to keep you safe). Your order will be processed & we’ll keep you updated on progress via email. Supplying your own coffin and using a Funeral Director. 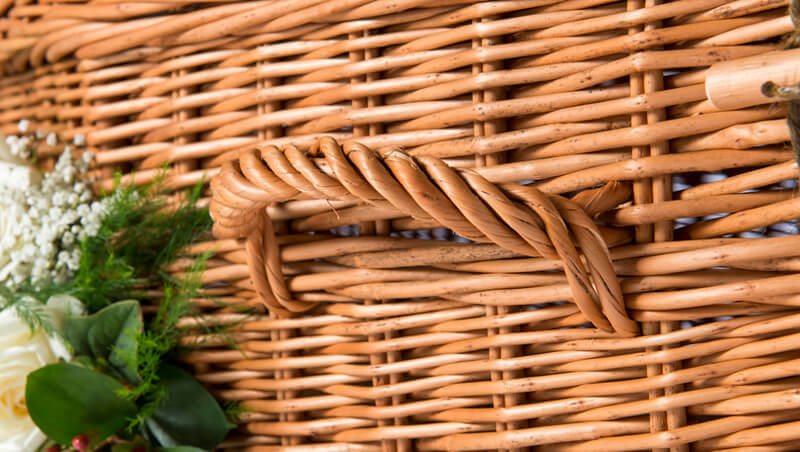 The colour can vary slightly because the strands of the natural material can vary. This is not British willow. Oh, and 100% positive feedback on Ebay. 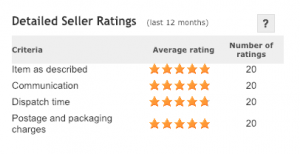 As these reviews show, we’ve helped many customers save money and delivered them a coffin quickly.